Brijeet K. Dhaliwal was born in Illinois to an immigrant family who ensured she learned Punjabi language and culture while gaining a western education. She has earned multiple degrees focusing on English, as well as Library & Information Sciences, from the University of Illinois Urbana-Champaign and DePaul University. Her education has given her a solid foundation in her current career path in digital marketing, but she always seeks out learning opportunities in and out of classrooms. At present she resides in Brooklyn, freelances for a variety of organizations and businesses, doesn’t write anywhere near as much as she would like to, but supports writers and artists in whatever way she can. 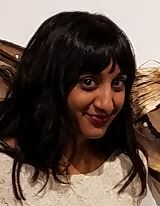 Anjali Goyal is an arts administrator, currently working as the Acting Executive Director at the Asian American Arts Alliance in Brooklyn, NY. 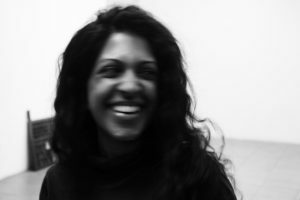 Anjali also works as a development consultant at Project for Empty Space, a nonprofit visual arts organization dedicated to social engagement and change through artmaking in public spaces, in Newark, NJ. Her current and previous work reflects an interest in feminism, literature, and representation of marginalized communities. 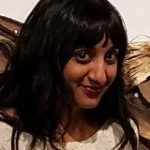 Anjali was formerly the Programs Director at the Asian American Writers’ Workshop and she has worked in various capacities in book publishing and for individual authors and artists. Anjali studied in the Master of Library and Information Science program at Rutgers University (New Brunswick) and completed a BA in English from Ohio University (Athens). Born and raised in rural Ohio, she currently resides in Brooklyn, NY. 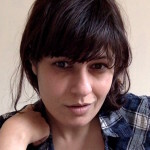 Ambika Trasi is an artist and organizer based in Brooklyn. Her work investigates the histories, myths, and aesthetics deeply embedded within rituals, traditions, landscapes, and products to consider the ways in which culture is packaged and sold. In doing so, her work reveals the unsettling, flimsy, and oftentimes inherently-colonial narratives that uphold cultural norms and trends. 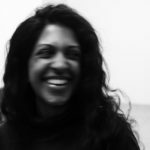 Ambika is currently a curatorial assistant at a New York-based arts institution, was formerly the Managing Director of Asia Contemporary Art Week (ACAW), and holds a BFA in studio art from New York University (NYU) with a minor in South Asian studies.